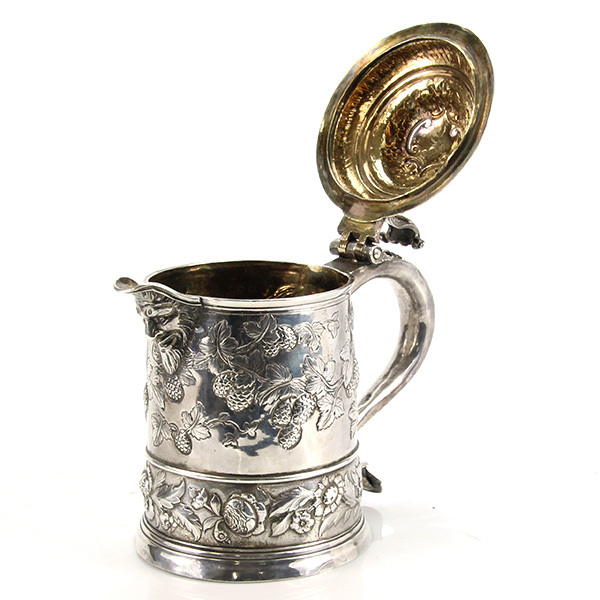 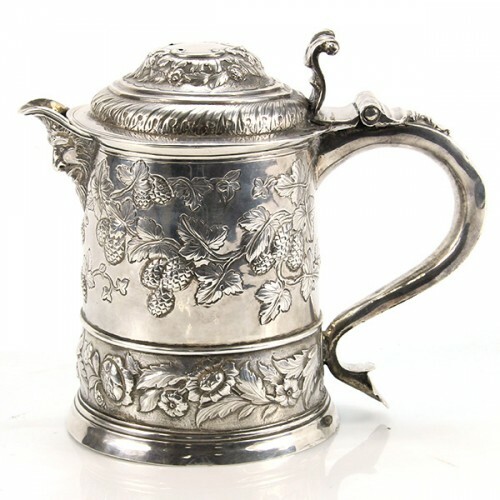 Pasarel - Rare Queen Anne Britannia Standard Silver (958) Tankard, Robert Timbrell & Joseph Bell, London, England, 1712. Rare Queen Anne Britannia Standard Silver (958) Tankard, Robert Timbrell & Joseph Bell, London, England, 1712. 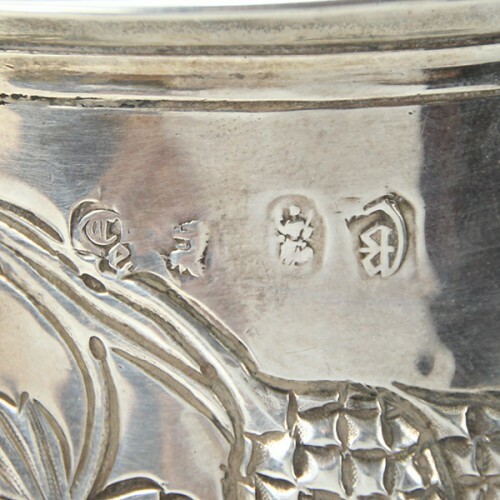 Chased and embossed with floral and foliage ornaments. 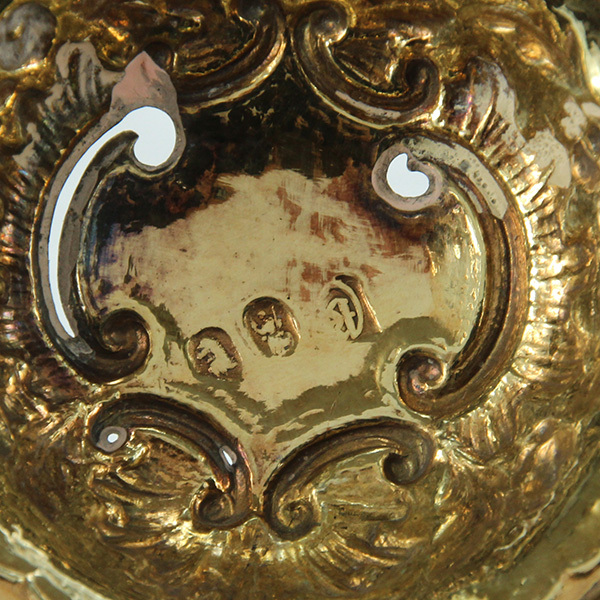 Hinged lid with a large thumbpiece, stylized handle. 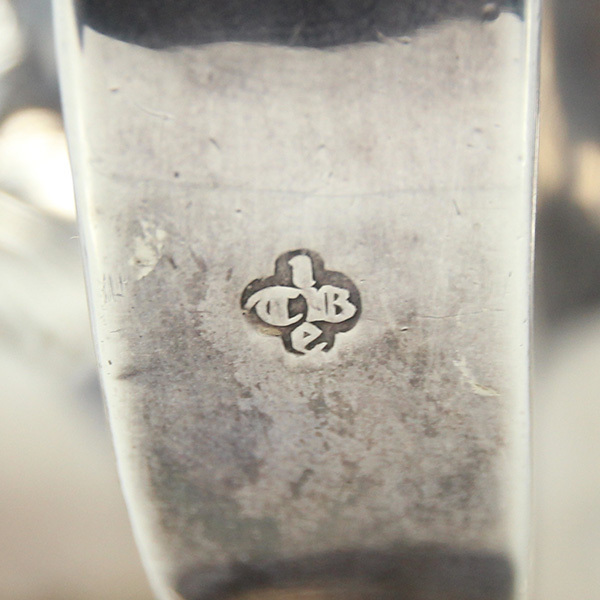 Fully hallmarked (twice) for London, England, dated 1712, maker’s mark for Robert Timbrell & Joseph Bell. Very good condition, two polish holes to the cover. 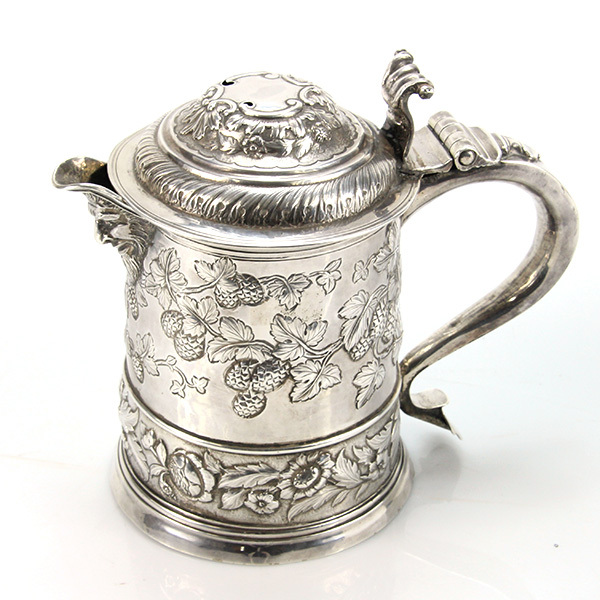 Base diameter: 12.5cm / 4.9in.